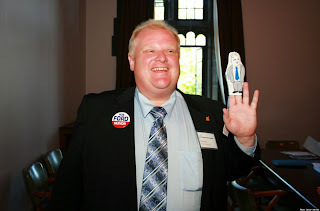 In the last week, I think about half of my Facebook feed has been about Rob Ford. His image cannot be avoided, and why would you avoid such real life drama? He really does put the "reality" back in reality TV. In a lot of ways, though, he has become a symbol of what is not working in this city. And though I do not carry a passport from Ford nation, I will admit that the many things that block Toronto from becoming an amazing city-of-the-future has a lot more to do with the government of the city, those of us who elected them, and how our city is currently run. It's not just the fault of one faulty mayor. Recently, urban guru Richard Florida made a similar point about Rob Ford. He felt Toronto has outgrown its system of governance that no longer serves the complex, cosmopolitan city we've become. What does he mean by that? Well, Toronto is still run like it is a mid-sized, typical North American city where there is a viable commercial centre downtown and most people drive home to low density residential neighbourhoods at night. And 30 or 40 years ago, that may have been the case. Nowadays, not even close. Toronto has transformed and grown. 2. The GTA is growing at a rate of 100,000 people per year or more. 3. The GTA accounts for 20% of the Canadian GDP making it the sixth largest government in Canada, larger than most provinces. So, this current Toronto is a powerful and populous place, but simply does not have the political clout to show it. The city has changed, but how it is governed has not. The city cannot launch large projects because the citizens are divided, the city has little political power for its size, and the elected officials are not focusing on what this city needs 20 years from now. The voters of Rob Ford live largely outside the city in areas that often resent the downtown, who are more focused on lower taxes for the individual and less on the improvements in the community or the city at large. That's why Ford's "stop the gravy train" message resonates with them through all of the drama, whether the gravy has been stopped or not. Ironically, Toronto has one of the lowest property taxes in larger North American cities. And we have put very little money into much needed, large scale projects in transit and infrastructure. From Oshawa to Hamilton, there needs to be more integration of goverments so that we function as a whole, and not a bunch of fiefdoms. They need a stronger planning department with a little vision behind it. They need better communication and integration on all transit forms from the TTC to GO transit to all the transit in other areas in the GTA.The forward-focused cities are able to invest in ways that see how their cities are changing. Quite frankly, the GTA needs to flex its muscle a little. If cities are going to be the way of the future, they need more power to make their own decisions and raise funds. If you live in suburban Etobicoke, and you never come to the city, you are still going to suffer if this city doesn't improve. Alternatively, if you live in the city, you cannot ignore the lower density suburbs. 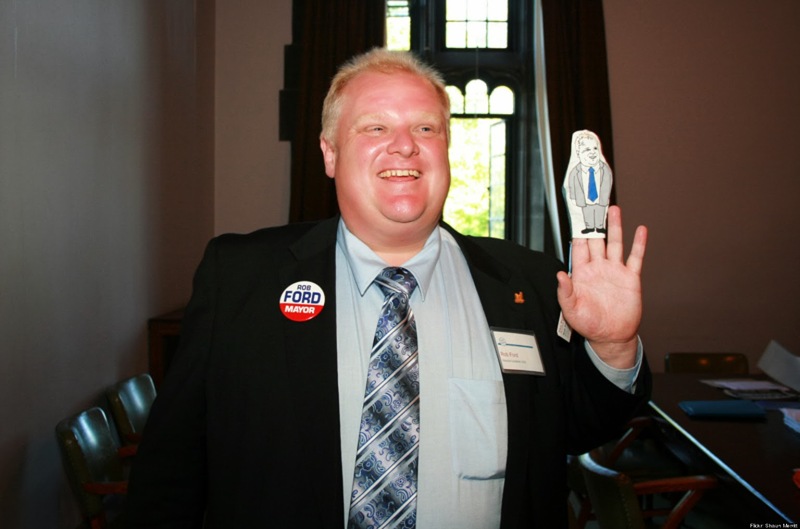 So, let's hope that all this mess around Rob Ford shines a light on what need to be done once the curtain closes on Rob Ford. Until then, enjoy the show. Maintenance Fees: The Cold, Hard Truth! The Value of Your House: An Art or Science?